Without sounding condescending I cannot believe that there could be any make up lover out there that has not yet heard of Studio 10. This innovative Range of products created by Grace Fodor in 2013, is all about Age perfecting, skin perfecting and helping you look and feel your best with just a few very clever products. These products are so well made and so easy to use, they will become part of your daily routine. Grace used her industry knowledge and with the help of dermatologists and top make up artists was able to create a range that can give us all the skills to correct and conceal the sign of ageing. Today I am featuring the *Studio 10 Age Defy Skin Perfector. 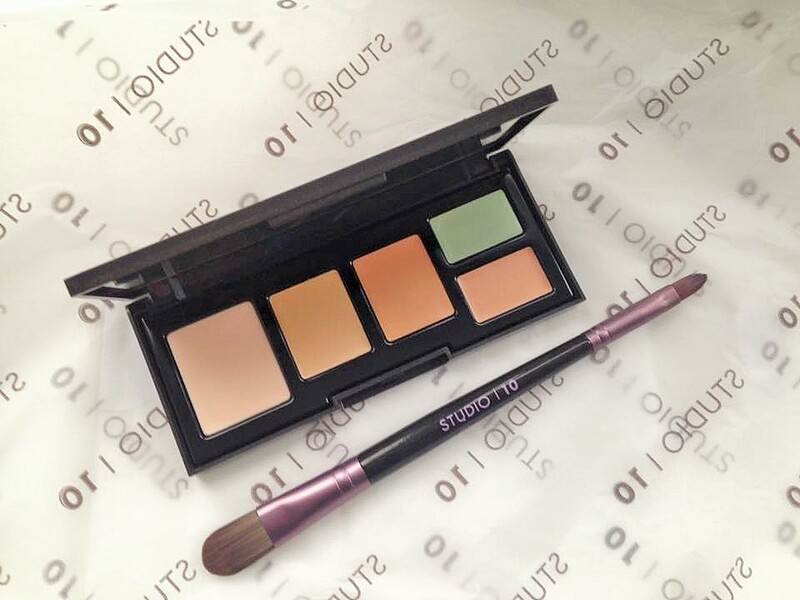 This palette contains everything you need to correct and conceal any imperfections you may have. Including a primer, two concealers and a green and peach colour. 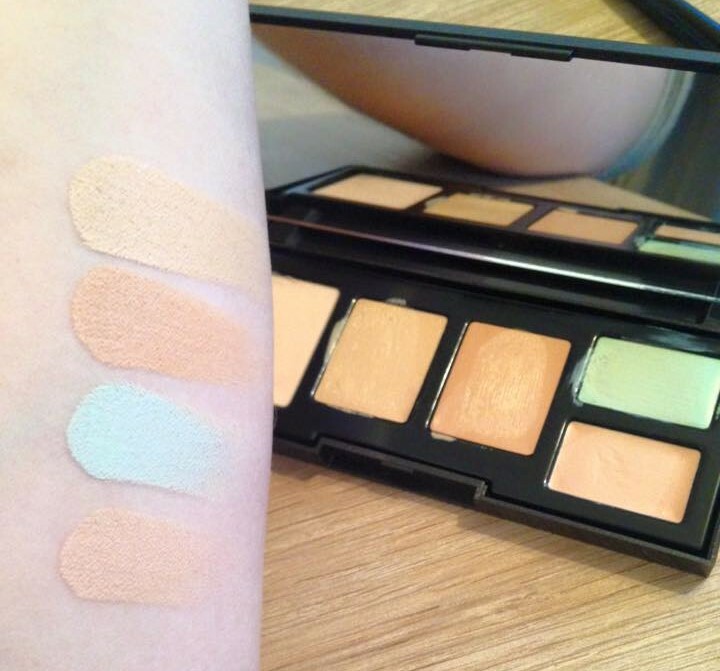 This beautifully creamy selection of colours will adapt and blend into your skin very easily. I am a medium shade across the board and this is the Medium/Dark option. First of all prime areas of the skin that have fine lines and open pores with the included primer. For me this is my cheeks, nose and the fine lines on the edge of my eyes and forehead, then using the peach corrector you can cover any dark blue/purple areas so under the eyes is where you would want to use this. I used the green on my red areas as this cancels the red out so for me its on my cheeks and around the nose. The included brush makes it very easy to apply and blend this beautiful lightweight cream. After that I covered my one beauty….ok Age spot, with the peach coloured cream as that is great for any brown areas of the skin, I also used a little over my top lip and blended well. When I am unwell the area around my mouth always goes a little darker so this cream was great for that. Finally use the concealer to cover blemishes or gently add over the dark circles if you need more coverage. There are two concealers included so you can easily mix and match and blend to get the shade you will need. The reason I love the concealer in this so much is because it is not cakey or heavy and does not make fine lines and creases appear more prominent. It feels lovely and silky smooth on application and then you just don’t feel it at all. Perfect! 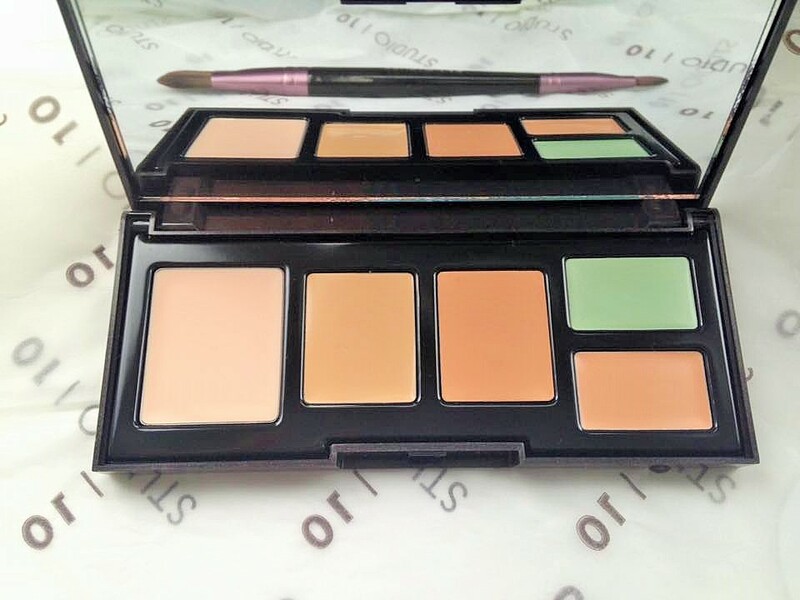 This really is a portable palette, it is lightweight yet contains a lot of product. The creams inside are so soft that you could use the concealer as a complete base or foundation if you needed to. I have used this as a stand alone product, applying my blush, bronzer and make up on top, and also as a top up over a thin coverage foundation. It really is easy to play with and find your own way of using. A great piece of kit to add to your make up bag, you will find yourself reaching for this time and time again. I highly recommend you give it a go. I will add a full face photo soon, unfortunately a bout of food poisoning has beaten me! 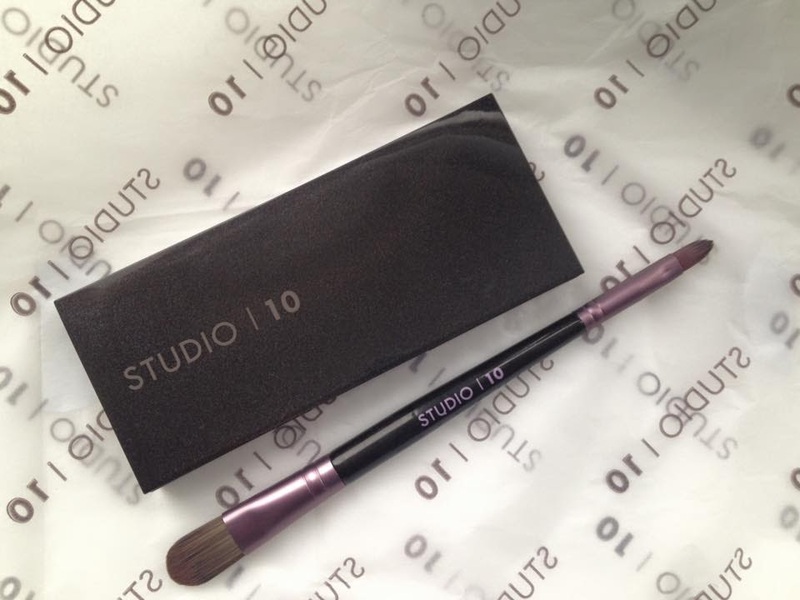 Have you tried any of Studio 10 products? I would love to hear your thoughts. please leave me a comment below!